The "Chieftain of Oss" sword was in a little box in a corner! #@(&^%)#$&^%! Thanks for posting that fantastic article! The Gundlingen and Mindelheim swords are some of my favorites, but I didn't have much information on them yet, especially of the Mindelheim type. The Mindelheim sword from the King's grave of Oss is still my most favorite iron sword of all time. Perhaps some day if I'm rich enough, I'll ask Patrick Barta if he want to do a reproduction it. 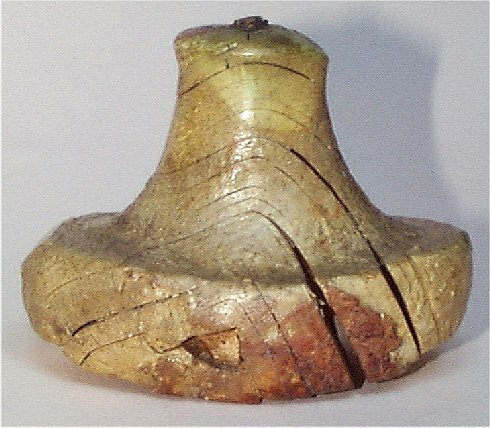 For those interested, there's a book available on this grave find, which has some really good pictures of the sword and other finds from the grave: http://www.matrijs.com/titelpag.asp?recnumb=90-5345-233-8. It's in dutch though, I don't know if there's a English version of the book available. I have some pictures of some additional examples. I'm going to remove the pictures from my webspace soon, to make room for new stuff. Just thought I'd give an advance warning. Does anyone have accurate drawings and dimentions of the entire blade? At the moment I only have a rough water coloring of the blade, and several photos of the only the hilt. 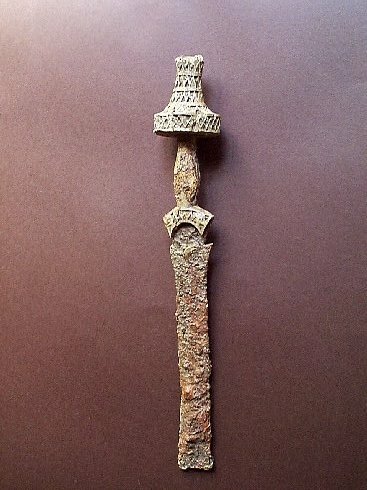 As I've recently come across some more interesting examples of Mindelheim swords by Steve and Ferro from http://www.archaeoforum.de, I thought I'd include them here as well. I´d just like to say a great big thank to you Kirk for puting together this wonderful presentation. The material I have on these swords is very limited and it is good to see more examples as well as a condensed text presentation. Great work. It is time consuming to filter through material like you have done. Jeroen, thanks to you as well for posting those ivory pommels. Just what I had dreamed to see without knowing it! As others have said before: this thread would be great to be worked into an article. There is a very nice Mindelhiem type sword in Uppsala (kept in storage, but well accessible there when you visit the store rooms). Its tang is broken just where it swells behind the shoulders, but the blade is well preserved. It is a long and handsome sword. The rounded midrib and the risers are expertly shaped and very precisely done. Seems to have been finished by scraping (?). The surface of the sword is such that you might make out toolmarks. I will look at this sword again next time I visit this store room. Perhaps I can add to this thread with some detail pics of this one example. I would like to know more about the ones made in Iron (as it would be great to try and forge such a sword sometime). My impression is that it is the Mindelheim type that were also made in iron. Has there been found iron versions of the smaller Gundlingen type? Thanks guys for all good work! Unfortunately my browser at work doesn't support Java2, so I can't access it to see if there's more. Yes. But it's a bit difficult to say whether they are Gundlingen or Mindleheim type swords, as a lot are in a very poor condition. I do have some pictures of iron Gundlingen swords from Tsjechie. I also know some iron Hallstatt swords which I have no idea were they fit in, as they're a bit different from both the Gundlingen and Mindelheim swords. Some examples (found in the Netherlands) can be seen below. Thanks so much for the pictures and info... and the link to TOMBA. That is one amazing site! It is a image and info archive dedicated to compiling information on elite burials in Europe throughout the Bronze and Early Iron Age. Here are a few more images of Mindelheim hilts from the site. 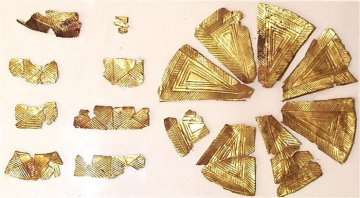 I found a color image of the gold foil from Grave 99 shown as drawings in J.D. Cowen's work. 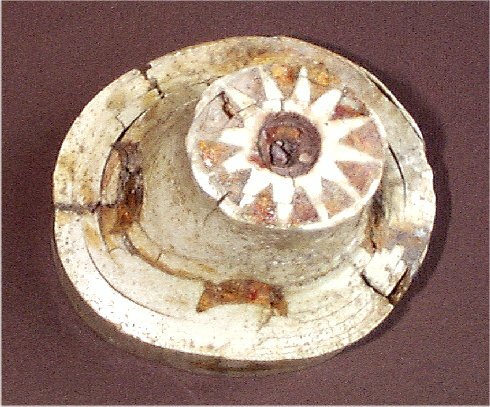 Also a image of a Gundlingen with a separate cast antenna pommel, also mentioned in Cowen. Thanks for your encouragement... It means alot to me! I thought about just such an article, but on the development of sword design during all the phases of the Hallstatt period... Of course Hallstatt C will get the lion's share of attention. 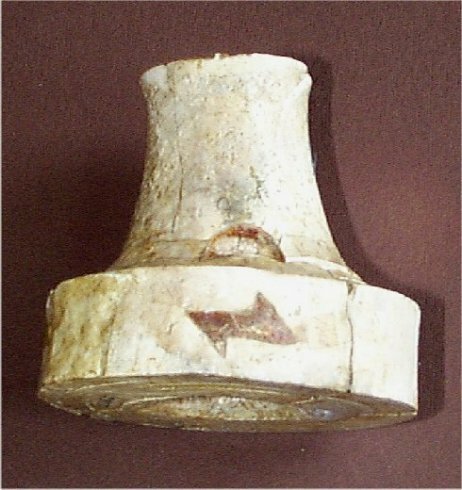 I am finding it difficult to uncover information on Hallstatt A and B... and Hallstatt D seems to be mostly knives and daggers. My son just showed me how to use Google translator... It seems to work fairly well on some of the German journal articles on the internet... So that has open a possibilty into new territory. We'll see what happens. p.s. Would love to see detailed pictures of the Swedish Mindelheim blade! This is great stuff, gentlemen! Thanks for posting it. Amazing, isn't it, how the much the young can teach their elders! My children are all in their twenties, and they have been teaching me for several years now. Hallstatt D seems to be mostly knives and daggers. 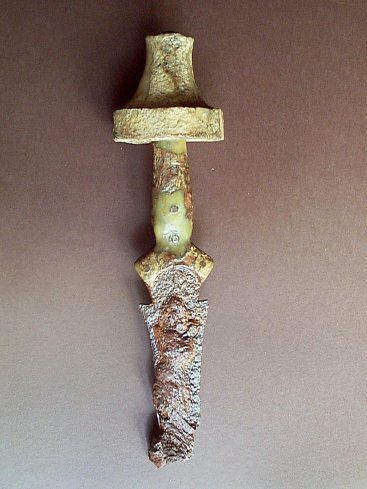 The sword disappear HA C2/ HA D1 and the belt-weapon of the noble hallstatt man is then the dagger (or "daggerknife", a single edged knife with dagger-like hilt) until the latène A: the rebirth of the sword. Thanks for the info... Explains why I'm having a hard time finding late Hallstatt swords. Explains why I'm having a hard time finding late Hallstatt swords. 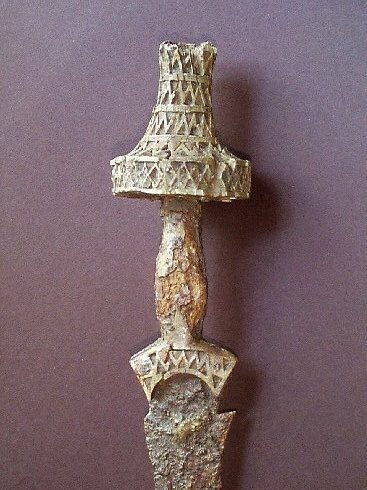 Hilt-section of an HA D3 "swagger" (it´s 40cm long, iron, somewhere between sword and dagger). Today i was in the Archäologische Staatssammlung München in the arsenal enjoying my audience with the Kemmathen sword - 2700 years old and it looks like casted yesterday! And i held that beauty in my hands! And ...dam´n ... my girlfriend has lost her digicam! And i held that beauty in my hands! And ...dam´n ... my girlfriend has lost her digicam! First i´ve to buy a new cam! Did you get any measurements of the sword b.t.w.? In particular, balance point, mass?